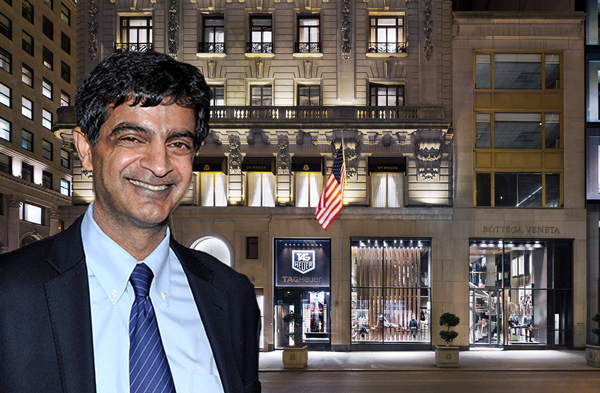 General Growth Properties CEO Sandeep Mathrani isn’t too concerned with the vacancy rate on Fifth Avenue – mostly because he isn’t planning on buying anything there. During a panel at NAREIT’s annual REIT Week conference Wednesday, Mathrani pointed out that GGP just leased up its last vacancy on the prime shopping strip: a tiny, 896-square-foot space at 685 Fifth Avenue to the watchmaker Tag Heuer. The availability rate on prime Fifth Avenue from 49th to 60th streets rose 4.4 percent on the year to 17.4 percent in the first quarter, according to Cushman & Wakefield. Mathrani said that’s a function of pricing, given that retailers will lease spaces if and when prices come back down to earth. But when asked if he was interested on buying on Fifth, the retail real estate exec said the only thing GGP is buying is empty anchor stores at its malls across the country. Mathrani spoke early in the morning at the New York Hilton Midtown on Sixth Avenue, where more than 500 executives were scheduled to attend one of the largest real estate events of the year. 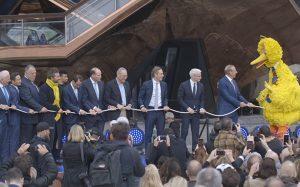 The GGP head said that in Europe, mall operators and developers aren’t having conversations with department stores, because there are none in growth mode. “We are in a very similar situation here, but we are about 10 years too late, and we are fast correcting,” he said.